Camp Global - located in New Port Richey, Florida - provides a quiet environment for 1-on-1 consulting to develop skill sets that can be utilized immediately. We are proud to announce that CampGlobal! is now accepting registrations for February 3-6! Stepping into Your Own Power is an online education tool to enhance your knowledge and skills in a variety of ways. The session begins with an online lecture and then continues in smaller cohorts. Call for more information, (630) 454-4460. An opportunity for individualized learning and organizational advancement are just 2 of the outcomes of having a business coach. Maureen O'Brien and Rita Johnson bring combined experiences of more than 30 years of coaching with individuals and teams. For WBRG Leads - What are the skills of successful WBRG Leaders and where do you need to focus? For Executive Sponsors - Are you helping to break down barriers and ensure business alignment for the WBRG in your organization? For Executive Stakeholders - How does your participation with the WBRG enhance your 'leadership story'? Call the office for more information (630) 454-4460, or click here. In 1979, Ned Herrmann created an assessement, the Herrmann Brain Dominance Instrument, that enables people to understand how their brains are wired. Herrmann International's Whole Brain® Thinking System gives people, teams and organizations the skills and tools to increase their thinking agility so they can achieve exponentially higher levels of performance. 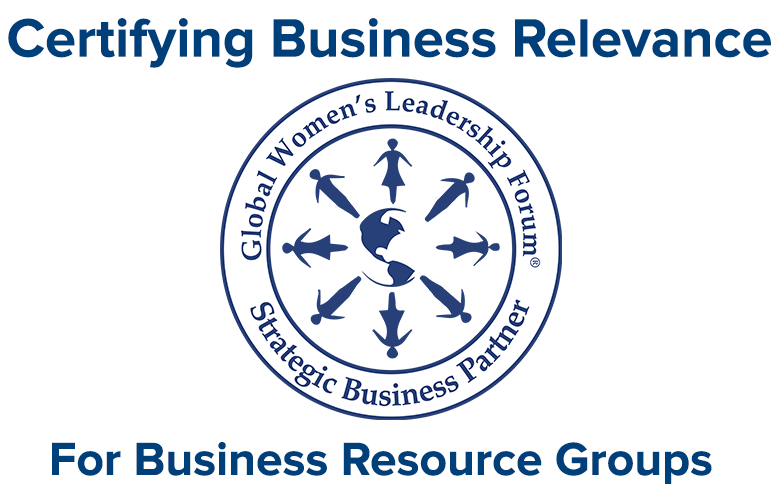 Business Resource Groups (BRGs) have tremendous potential, and are often underutilized. Development of key leaders in these groups as GWLF Strategic Business Partners®, creates the potential for increased innovation, engagement, and alignment to value delivery for the organization through the BRG. BRG leaders are passionate and committed, but they don't always have a plan for productivity. With this certification process they will learn how to demonstrate more effectively the ways in which they can provide ROI back to the company and share best practices and leadership skills across the entire organization. GWLF's Strategic Initiative: Men on Board to Support Women Leaders, or as we call it - The MOB®, is a unique opportunity to engage high level men in the conversation. Through a combination of data and dialogue we can show that leadership inequity is a tangible business problem that effects the bottom line - NOT A GENDER ISSUE. If you would like more information on The MOB® click here.